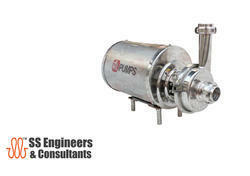 Pioneers in the industry, we offer stainless steel centrifugal pumps and ss valves from India. New life styles and pace have changed our food habits in a substantial way. The increased consumption of convenience food has created more demand on safety and quality for this type of food. Global Competition, growing Food Processing Health Centers, New Processing Technologies for the production requirements are constantly increasing. In almost all manufacturing process Pumps, Valves and Fittings are generally pivotal in processing. Today SRI PUMPS is in a position to manufacture and supply full range of Sanitary Pumps, Valves & Fittings for any size of industry. 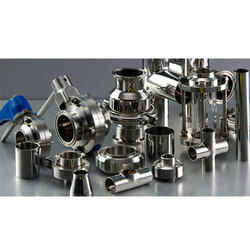 We are offering SS Valves to our client.